Ms. Houghton is a nationally recognized expert whose practice focuses on state and local tax planning, tax controversies and unclaimed property/escheat matters. She leads the Alston & Bird SALT practice. 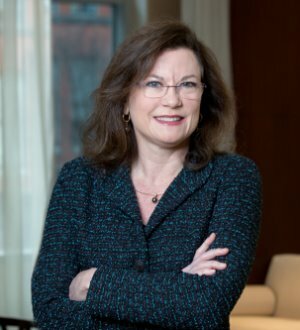 She previously served as general counsel to the Council On State Taxation (COST), where she filed U.S. Supreme Court briefs in cases impacting state taxation of multistate commerce and led a tax policy initiative addressing taxation of Internet transactions. Ms. Houghton has represented clients on a multi-jurisdictional basis with respect to significant tax disputes; negotiated favorable settlements with state and local jurisdictions; developed and advocated state tax policy and legislative positions that benefited client interests; and collaborated with clients to design transactional and organizational structures that have optimized direct and indirect tax burdens. Ms. Houghton also advises clients with respect to unclaimed property/escheat compliance, voluntary disclosure initiatives, planning opportunities, single- and multi-state audit defense, and litigation of state unclaimed property assessments. Ms. Houghton is co-author of Bloomberg BNA’s Multistate Tax Management portfolio entitled “Unclaimed Property.” She is an adjunct professor at Georgetown University School of Law and a featured speaker at national state tax conferences and schools hosted by COST, TEI, IPT, and the Unclaimed Property Professionals Organization, Georgetown University School of Law and the New York University School of Law.